In yet another instance of a thwarted attack by a weaponized child, a teenage Palestinian Arab girl launched a stabbing attack on an Israeli officer at the A-Za'im security checkpoint east of the capital between Ma'ale Adumim and Jerusalem today (Wednesday) at about 10:15 am. "A rapid response by additional security forces brought about her neutralization with no injuries to the security personnel... Police are investigating where the female suspect came from, and heightened security is continuing in the area." attacks by Palestinians, especially women, [that] are driven by personal and domestic issues, more than by ideological considerations. In some cases, Israeli officials have said Palestinians appeared to have carried out attacks or attempted to do so in order to be shot dead by Israeli security forces, as a form of "suicide by cop". 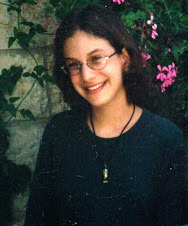 She died of her wounds according to Palestinian Authority health ministry officials. Video footage released by the police show a female, draped from head to toe in black and wearing black gloves, approaching the security personnel at the crossing. 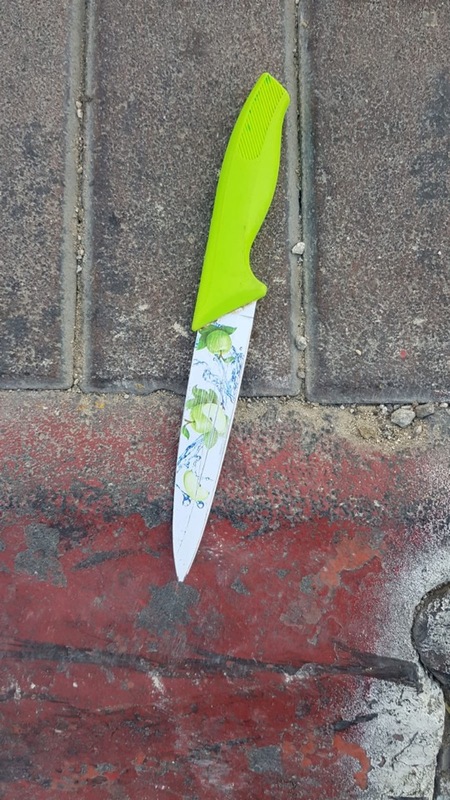 Police also circulated a photo of the knife in her possession - while throughout the Arab media reports we have scanned, it's claimed she was unarmed and executed in cold blood. None of the many thwarted Arab-on-Israeli terror attacks of the past three years (at least) has ever credibly been shown to meet that description. 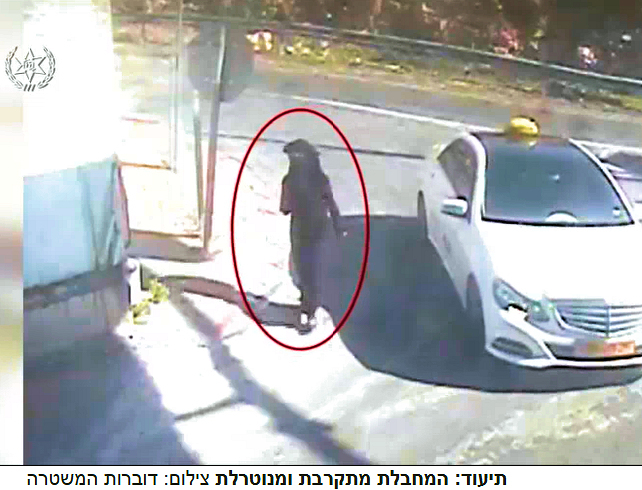 And A-Za'im has seen numerous Arab-on-Israeli terror attacks - vehicle-rammings, stabbings and bombings. 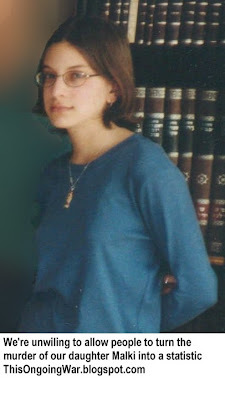 The claim this time is embellished by the assertion, pulled out of thin air as far as we can tell, that the girl was shot after refusing to undress and remove her black robes. This line of explanation plays tragically well in Palestinian Arab circles.